BOISE - The Western Idaho Fair is coming to town August 17-26. 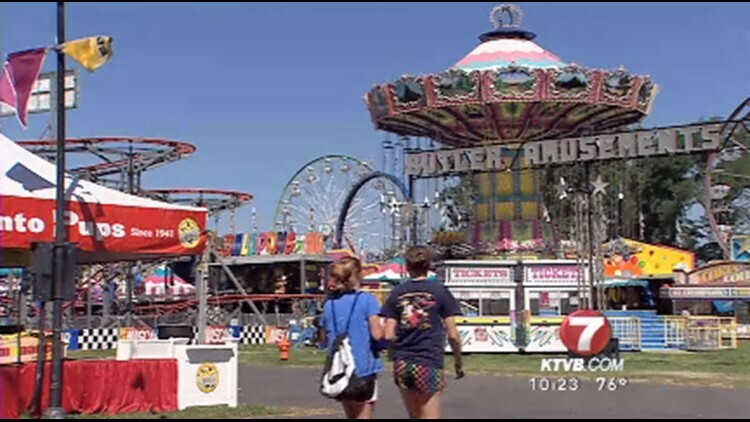 KTVB Family Day at the Western Idaho Fair will be held Monday, August 20. KTVB Family Day is the only smoke-free and alcohol-free day during the fair. Be sure to take advantage of the special wristband offer on Family Day--$29 buys admission to the fair and a wristband good for unlimited carnival rides all day long. Plus, stop by KTVB’s booth to check out the 360-degree videos and virtual reality experience. In addition, VR Tech and the Idaho Virtual Reality Council will join us at our booth and show off some cool VR technology. And, be sure to stop by our booth and spin the wheel for a fun prize. For more information on KTVB Family Day click here.